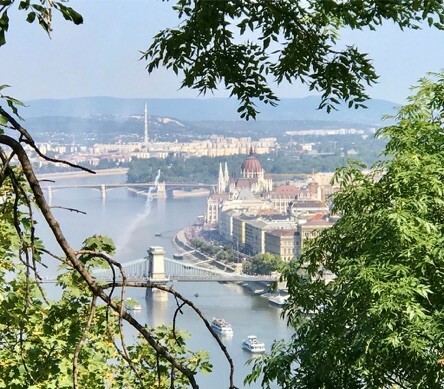 At the end of August, FB International’s partner, Rick Perry, was invited on a trip to Budapest and the Tokaj region of Hungary to learn firsthand about the history of wine-making in the region and what makes Tokaj “terroir” so special. Rick’s account of his trip is featured below as are a selection of photos he took. 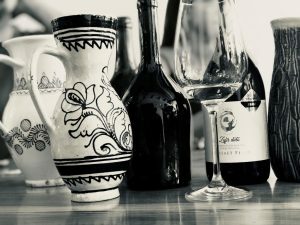 While many Americans do not know much about Hungarian wines, FurmintUSA.com and New Wines of Hungary are making a significant effort of changing this. As part of FB International’s team in Florida, I was invited by Balazs Humayer and Laszlo Balint of New Wines of Hungary to tour Tokaj with wine brokers from southern California. 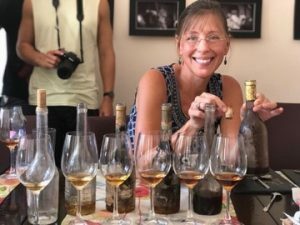 We are all selling or promoting Hungarian wines in the USA, and a FAM trip to Tokaj could give us the inside knowledge to help us reach a new level in familiarity and knowledge upon our return. 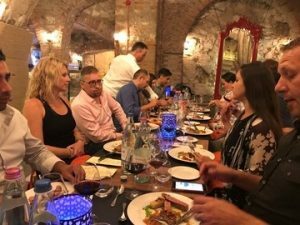 Without a doubt this was a well-planned and executed tour, giving us just the right amount of culture, history, cuisine, and general knowledge about the Tokaj region and its storied history and culture of wine making. The trip started out in Budapest: when we arrived at our quaint hotel in the castle district and we were ushered downstairs to a 400-year-old wine cellar where dinner and a wine tasting were already in progress. We had a traditional Hungarian meal with Goulash soup, Hortobagyi, Paprikas and a variety of other delicious house specialties. 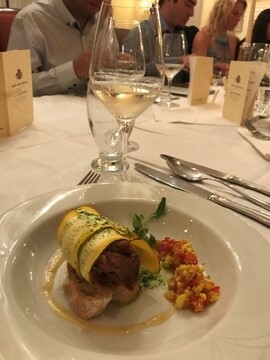 Each course was paired with a different Hungarian wine and we all got acquainted in person after knowing each other only by phone or Skype. The next day we had a bus tour of Budapest with a guide giving us the history of not only the capital, but Hungary in general. We visited many of the city’s famous sites and even spent a couple of hours in the world-renowned outdoor baths. 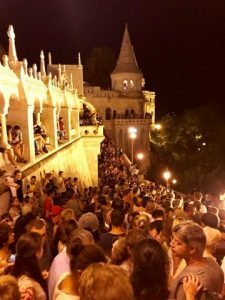 As this day was the Hungarian national holiday, there were many people in the city and several of the bridges were only accessible to pedestrians. Our hotel was near the castle, so we walked to the St.Matthias Church area where many Hungarian Kings were crowned and watched from a perch on the castle wall the celebratory fireworks shooting off over the Danube River by the Parliament building. It was a very impressive display with a beautiful backdrop of this magnificent structure. Early Tuesday morning we departed for the 3 hour bus trip to Tokaj to visit nine wineries: Béres, Grof Degenfeld, Erzsebet, Majoros, Serpens, Demetervin, Barta, Basilicus, and Holdvolgy. 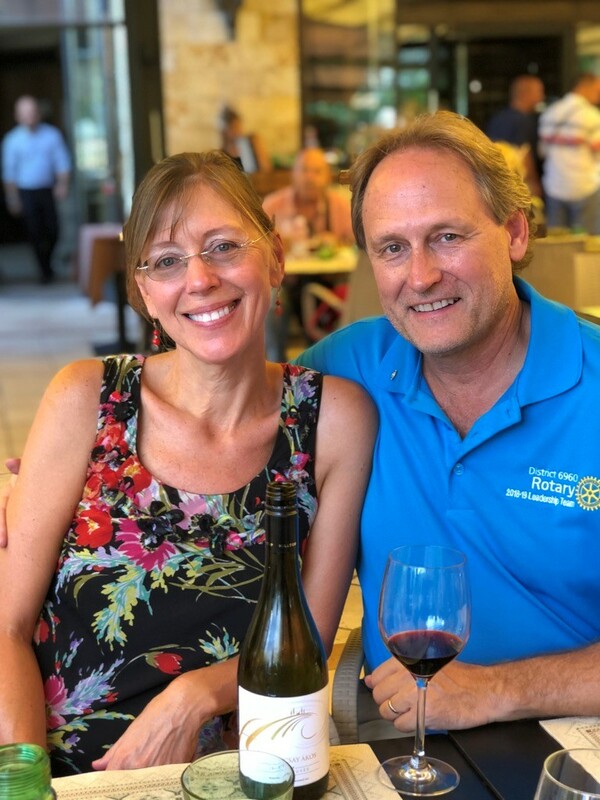 Upon arrival at our first destination, Béres Winery, we were greeted as we would be in most all the wineries: with the warmth of welcoming of an old friend in celebration of our visit with a sparkling or another refreshing Furmint wine. We toured most of the vineyards and learned about the terroir: the clay and volcanic soil & landscape, the position of the vineyards in relation to the Bodrog & Tisza rivers. We learned how the volcanic rocks keep the vineyards warm and the rivers provide the moisture and fog, encouraging the fungus to produce the desired sweet Szamorodni and Aszu wines. The 27 wine regions of Tokaj are diverse, from the microclimates, to the type of soil throughout their vineyards, and of course even the direction and incline of their hilly locations. The six grape types that can be officially sold as Tokaji wines allow for both pure varietals and blends. We learned the most about the top grape varietal, Furmint, and its importance to the fame, history and wine culture of Tokaj. We were pleasantly surprised by the 2nd grape varietal in Tokaj, Harslevelu. The wine made from this grape had a fruit bouquet and enhanced the Furmint-heavy blend by adding a slight sweetness and friendliness. Debbie Perry with a tasting flight of Aszu wines from SERPENS – dating all the way back to 1956. 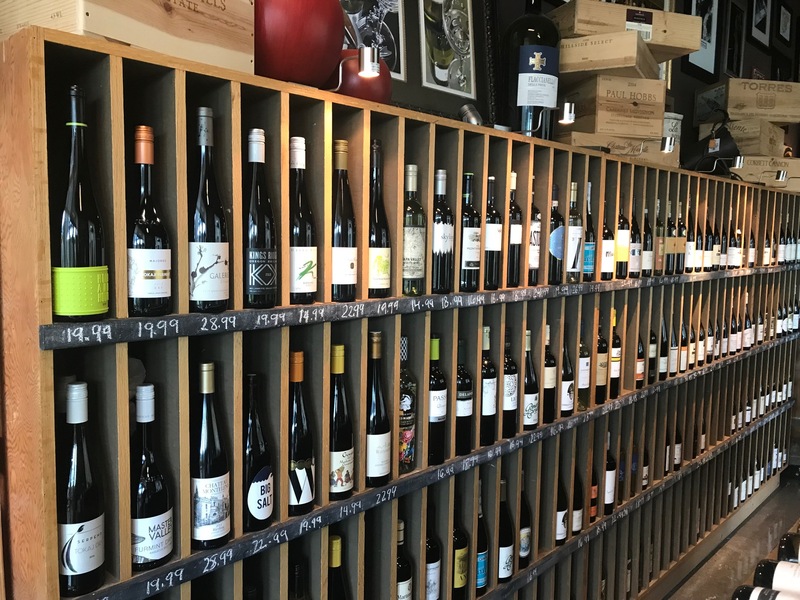 While I could write significant detail on our visits to each of these beautiful wineries (and I may), the takeaway was clearly that the wines of Tokaj are elegant and pair exceedingly well with a variety of foods or can be enjoyed by themselves. Living in Florida, I quickly learned that Furmint or blends with Furmint pair well with seafood, shellfish, spicy Thai/Vietnamese, and even with most vegetables. When we traveled Tokaj our minds were opened after tasting these noble wines with traditional Hungarian fare, much of which is also readily available in America: pork, beef, chicken, duck, goose liver, peppers, and foods that have a mild spice. The tour combined just the right amount of culture, history of the people and country, geography, visits to important sites, with a deeper understanding of the long history and renewed wine making efforts since 1990 in Tokaj. We were favorably impressed with the combination of knowledge, commitment, and the delicate understanding of how to let the region’s mild climate with a unique terroir and grapes make wines. We are confident that these wines will be acclaimed as they were in the past throughout many countries, including America.